Popular for its Aspire One series of netbooks, Acer Inc. was reportedly planning to phase out netbooks in favor of tablets due to the declining sales of netbooks. This statement was further fueled by the fact that the company would soon be releasing three 7- to 10-inch tablets this year, one running on Windows 7 while the other two are based on the Google Android platform. Acer yesterday released its press statement denouncing such allegations. 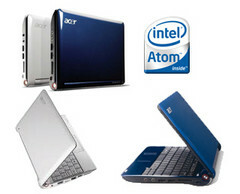 The company “recognizes that the computer market is changing,” the statement asserts, and will simply be expanding its range of devices available to consumers to include both netbooks and tablets. Acer’s entry into the tablet market will be joined by HP, Asus, Dell, Motorola, and many others, as they vie for the market share dominated by the highly successful Apple iPad.